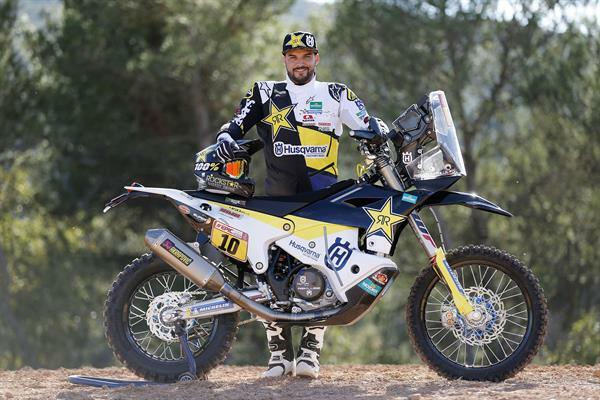 Rockstar Energy Husqvarna Factory Racing’s Pablo Quintanilla will re-start his 2018 international rally racing campaign on March 24 to 29 at the Abu Dhabi Desert Challenge in the United Arab Emirates. Working hard towards returning to full competitive fitness following a foot injury sustained during the closing stages of the Dakar Rally, Pablo’s teammate Andrew Short is expected to join the Rockstar Energy Husqvarna Factory Racing squad at the 2018 Merzouga Rally in mid-April. With the Abu Dhabi Desert Challenge playing host to the opening round of the 2018 FIM Cross-Country Rallies World Championship, the event in the UAE will see Pablo Quintanilla begin the defence of his FIM Cross-Country World Championship title. Securing eighth overall at the 2018 Dakar Rally in January, the Chilean rally star is already looking forward to a solid return to racing aboard his FR 450 Rally machine. Successfully wrapping up his debut participation at the prestigious Dakar Rally with a top 20 result, Andrew Short has been recuperating from a fractured tibia and fibula on his lower right leg. Resuming his training sessions in the middle of March, the American has his eyes set on making a return to racing at the Merzouga Rally on April 15/20, in the dunes of Morocco. Celebrating its 28th edition in 2018, the Abu Dhabi Desert Challenge is a six-stage-long rally taking place in the southern part of the United Arab Emirates. Kicking off with the traditional Super Special Stage on Saturday, March 24, the event will continue with five more days of racing in the Liwa Desert before competitors reach the finish line inside the Yas Marina circuit on March 29, 2018.